Dongkook Pharmaceutical said Monday that it has signed a 16 billion won ($14.8 million) contract with Haihuang to market its Bellast, a hyaluronic acid filler, in China. Under the accord, Dongkook will supply Haihuang with 16 billion won worth of Bellast for 10 years from 2021. With the signing of the contract, the company has now entered the 274 billion won Chinese filler market, which has grown more than 30 percent annually in recent years. Bellast is a bridged hyaluronic acid wrinkle-improving filler. The company has proved the drug’s efficacy and safety through a clinical test conducted at Yonsei University Severance Hospital and Samsung Medical Center. The company has also applied its unique HCXL (High Concentration Crosslinking Reaction) technique to compensate for the disadvantages of conventional fillers that had relatively low elasticity monophasic and low viscosity biphasic. Dongkook is trying to acquire the European Certification mark (CE) to enter the European market. After finishing the plant expansion, the company expects to become a leading company in the global filler market. 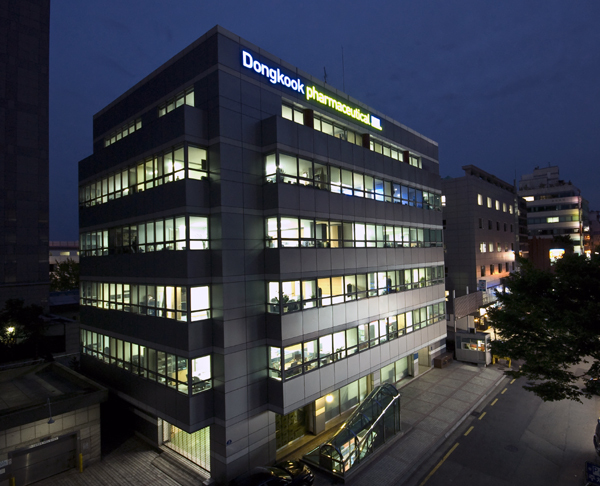 Dongkook Pharmaceutical sells more than 500,000 fillers annually in Korea and has supply contracts with 34 companies in 30 countries, including China, Brazil, Iran, and Thailand, worth about $50 million in combined total.